Evaluating the APRI numbers revealed that cirrhosis was present in 6.6% of Era 1, 7.6% of Era 2, and 17% of Era 3. 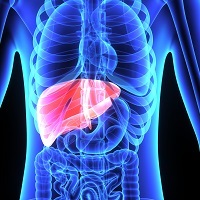 Cirrhosis was found in 11% of patients whether they knew about their infection or not. The researchers explained that the further analysis showed that the era effect could be attributed to factors such as age, diabetes, and obesity. The FIB-4 results, however, were identical across the Eras. “Patients who were unaware of their infection was just as likely to have cirrhosis as those who knew about their infection, which highlights the need for screening and treatment for hepatitis C at the population level,” the authors confirmed. Over the past two decades, cirrhosis has become even more prevalent in adults with hepatitis C in the US. If there was ever a time to tackle both conditions, its official here.